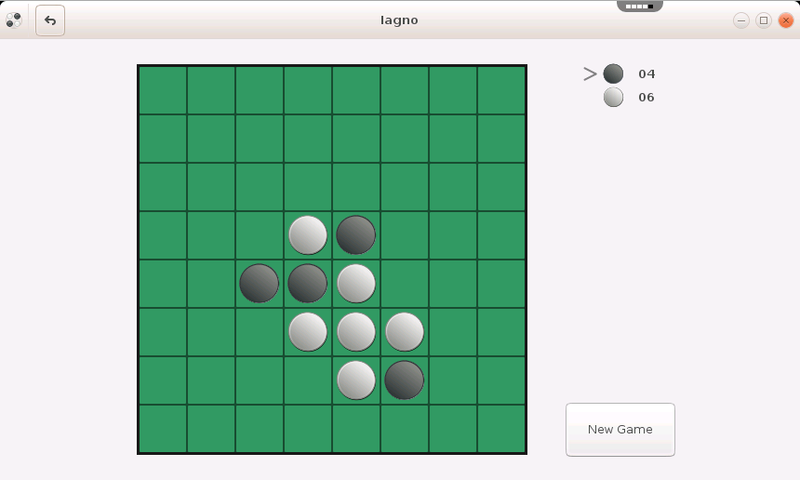 Iagno is a computer version of the game Reversi, more popularly called Othello. 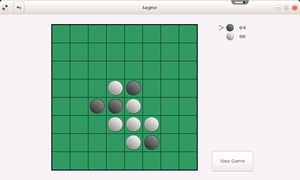 Iagno is a computer version of the game Reversi, more popularly called Othello. 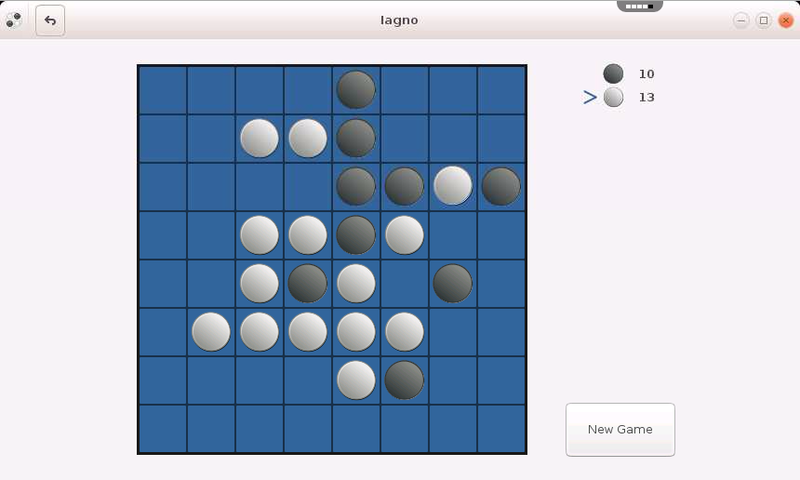 Iagno is a two player strategy game similar to Go. The board is 8 by 8 with tiles that are black on one side and white on the other side. 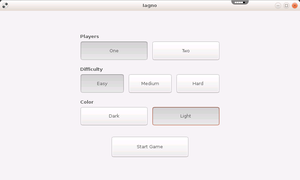 The object of Iagno is to flip as many of your opponent's tiles to your color as possible without your opponent flipping your tiles. 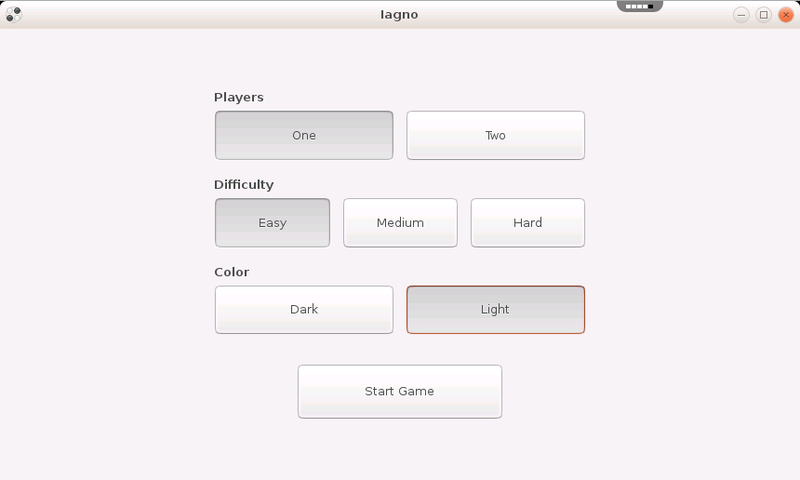 This is done by trapping your opponent's tiles between two tiles of your own color.